In need of a book for summer reading? How 'bout one written by Summer Lane? How fitting a name is that? Summer Lane is the #1 bestselling author of 17 thrilling books, including the phenomenal bestselling Collapse Series, Zero Trilogy and Collapse: The Illustrated Guide. Her series about a dog, The Bravo Saga, released April 22nd, 2016, and was hotly anticipated by the reading community, becoming a bestseller instantly. Bravo: Blood Road is the second installment of The Bravo Saga, the ultimate, thrilling conclusion! But when the Death Brigade - a vicious anarchist group arisen from the dust of a fallen society – rolls into town, tragedy strikes. Someone is taken. Neither Nathan nor Bravo will allow that. The hunt is on – Bravo will not fail in his task to protect his friends. What was your honeymoon in Hawaii like? So much fun! After a crazy year of writing and planning the wedding, I was relieved to get away. We honeymooned on the Big Island, in Kona. My favorite part about Hawaii was the tropical side of the island, over near Hilo. The botanical gardens and Rainbow Falls actually made appearances in one of my books because I was so astounded with the natural, exotic beauty of the tropics. Also, I’m pretty sure my husband and I spent most of our time in restaurants – we ate so much amazing food in Hawaii! We’re returning to Hawaii for our anniversary (although it will be on a different island this time – Maui!). I can’t wait! What inspired you to write a Bravo sequel? Because the story wasn’t over yet, and I knew it needed one more book to truly be complete. Bravo’s story is very interesting and he really deserved his own small series. He’s a character with a lot of integrity. I have a German Shepherd of my own (we named her Kona, because she looked like a Kona coffee bean when we adopted her! ), and I really understand the utter and complete love those dogs have for their people. It’s incredible. I am currently working on a historical romance, Running with Wolves, and a non-fiction project, Prolific: Writing a Hit Novel. The first installment in my Collapse Series spin-off, The Resurrection Series, will release in January 2018. I’m always busy. Write what you love and write what you know. Less is more. Write freely but edit ruthlessly. Don’t be afraid to take risks, and to keep it real. The Call of the Wild, by Jack London. It’s one of those books that changed my life. It opened my eyes to the magnitude of Man’s real and terrible impact on the wilderness. The character of Buck is so flawlessly brought to life by Jack London, that I can tell you I have never been more touched by any other character – human or not. It’s really breathtaking. I highly recommend that everybody should read it at least once. So who wants to win something?! 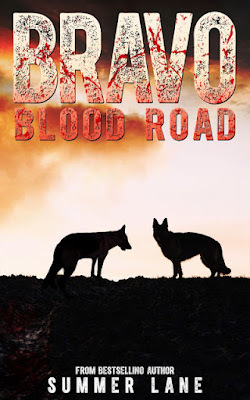 Summer Lane and I have partnered up to give away a few items - two lucky Giveaway Guy readers will win a paperback copy of Bravo: Blood Road and another reader will win a $20 Amazon gift card. What things do you carry in your pocket? Maybe it's a sword key that I like bragging about to my friends. Well The Smoke Mall has something that is sure to spark conversation - electric lighters! Inspired by automakers like Tesla that use batteries to produce clean, eco-friendly products, The Smoke Mall is making butane fuel a thing of the past. Fuel is the opposite of eco-friendly. The Smoke Mall is a new and innovative company that doesn't comply with standard business strategies of spending money on advertising to produce direct sales. Instead, they use their budget to give you free lighters in hopes that you'll come back for more. The Smoke Mall believes that once you get your hands on their lighters, the only thing you'll want to do next is purchase more. 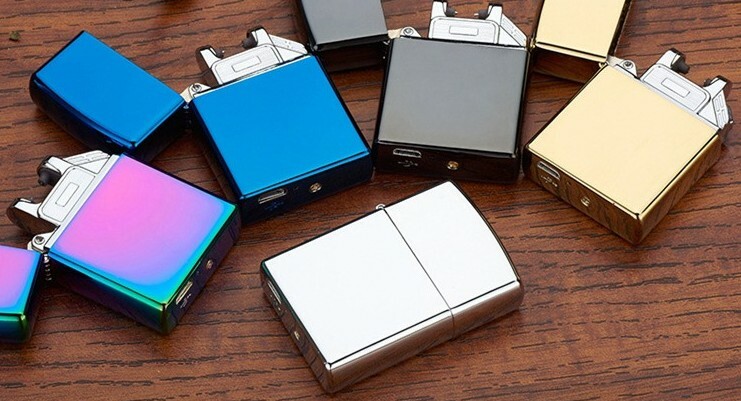 Some of their electric plasma lighters look just like a Zippo, but when you open them there are conductors that release a constant stream of high voltage electricity. When traditional lighters run out of fuel, you throw 'em away, right? That's a waste of money. The Smoke Mall's lithium ion batteries can be recharged 500 times via USB (charger is included), which equates to tens of thousands of lights! The Smoke Mall's plasma lighters are also windproof, which I've tested. I even blew directly onto the arcs and they stayed lit. You don't have to shield the wind or cup your hands anymore. 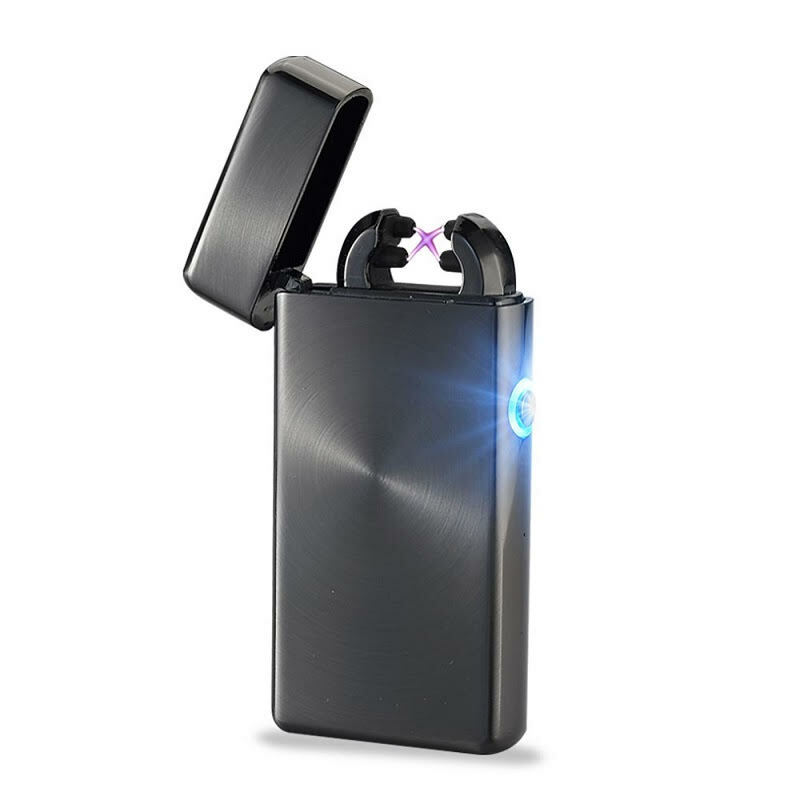 Furthermore, The Smoke Mall is offering a limited time promotion - you can get a lighter valued at $30 for FREE. 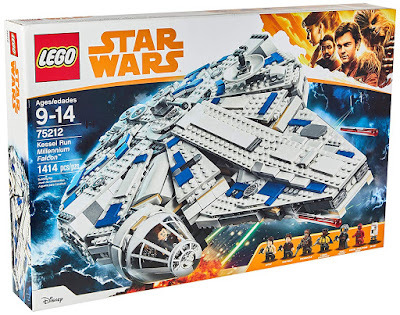 All you have to do is pay shipping. By entering, you agree to have your email address added to The Smoke Mall's mailing list at the end of the giveaway. You may unsubscribe at any time. This giveaway is open to users worldwide. Four winners will be randomly selected via Rafflecopter, which I will contact by email after entries are verified. The winners will have 24 hours to respond, otherwise a new winner will be selected. 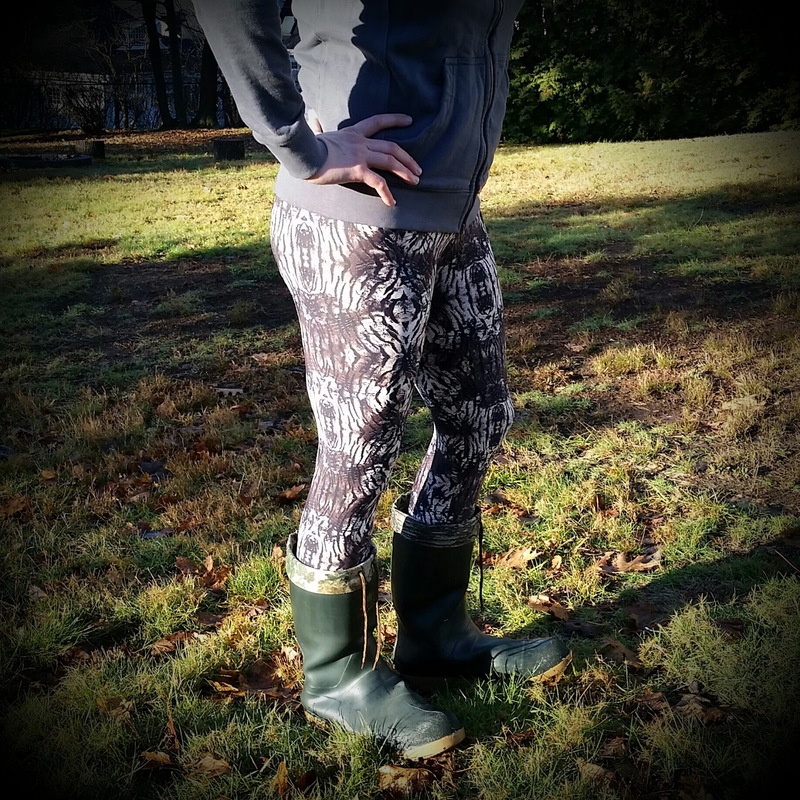 Attention, ladies or anyone shopping for ladies - KAST Fitness Wear specializes in lightweight leggings and capris, and they have a bunch of new patterns. For some back story... while Summer was shopping in Brazil she discovered a boutique full of fun, colorful fitness wear. Falling in love with the feel, stretch, durability, and colors, she decided to bring the Brazilian flare to the USA. The way KAST selects their fabric is with quality and comfort as top priority. The fabrics are soft, comfortable, and obviously form fitting as you can see. If you're a guy like me, you're gonna love the way your woman looks. Trust me. My wife recently got these Garden of Eden capris and she sent me this text after they arrived in the mail. It's safe to say she loves this print! I like the colors too actually. Don't even ask why the dog is carrying around a piece of trash. What the heck is Henry doing with that trash? 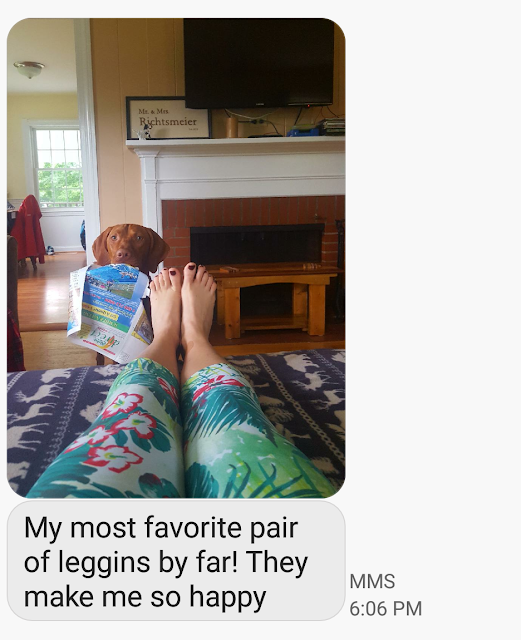 I don't know about you, but fitness wear motivates my wife and I. The KAST brand embraces comfort and style, and the colors and patterns will get you through your workout or have you stylin'. 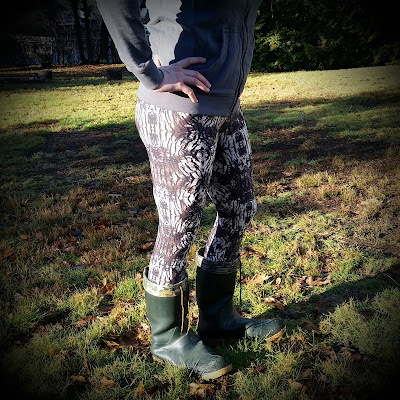 My wife has also previously bought the Tiger Shadow leggings (shown below), which are extra light supplex (minimal compression) and can feel like another layer of skin. Great for mild temps and Fall running. And if you're reading this and happen to be in Australia, they have a site for you too. Who wants some cash to spend on leggings and capris?! The ladies at KAST have been gracious enough to offer a $40 gift card to three lucky Giveaway Guy readers. You can spend the $40 on anything on the site, and the credit expires September 2017. Shipping is free! This giveaway is open to users in the U.S. & Canada. Three winners will be randomly selected via Rafflecopter, which I will contact by email after entries are verified. The winners will have 24 hours to respond, otherwise a new winner will be selected. 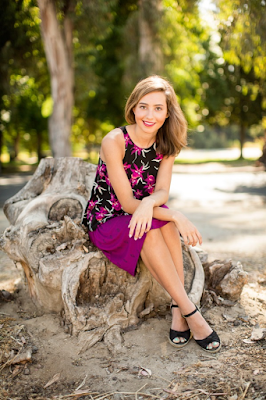 Author Charlene Wilson started writing in her youth when dreams stayed with her long after she had them. The people and worlds were so detailed it was like she knew them inside and out, and you can meet them in her books. Charlene's characters are alive there now, learning, loving, and experiencing everything they deserve. Charlene lives in Arkansas where cows wander the field across the street. She can sit on her deck in a robe without worry of probing eyes. She's worked in a variety of settings, from bookkeeper to detention deputy. Charlene is a mother of two beautiful children, married to the most patient man she knows. Together they share their home with a shy Pekingese and a chatty Cockatiel. The Transformation of Anna is the first book in the award-winning Cornerstone Deep series. 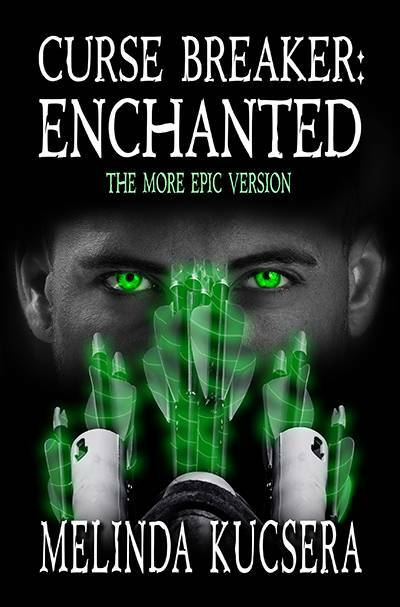 If you like compelling alpha heroes, gripping love stories, and magical worlds, then you’ll love Charlene A. Wilson’s sensual fantasy romance. For centuries, Cole Shilo has harvested the homeless, wiped their memories, and delivered them as servants to the nobles of Cornerstone Deep. He despises what his life has become since he lost his soul mate so long ago. Still, Cole aims to please, doing whatever it takes to keep the noblemen content. When he is sent to harvest a second-class woman who has broken a new curfew, he expects indifference. But Anna Sinclair’s soul calls to him, and the moment their lips meet, Cole knows he’s made the biggest mistake of his immortal life. Buy the fantasy romance book now, and enter the unforgettable world of Cornerstone Deep! 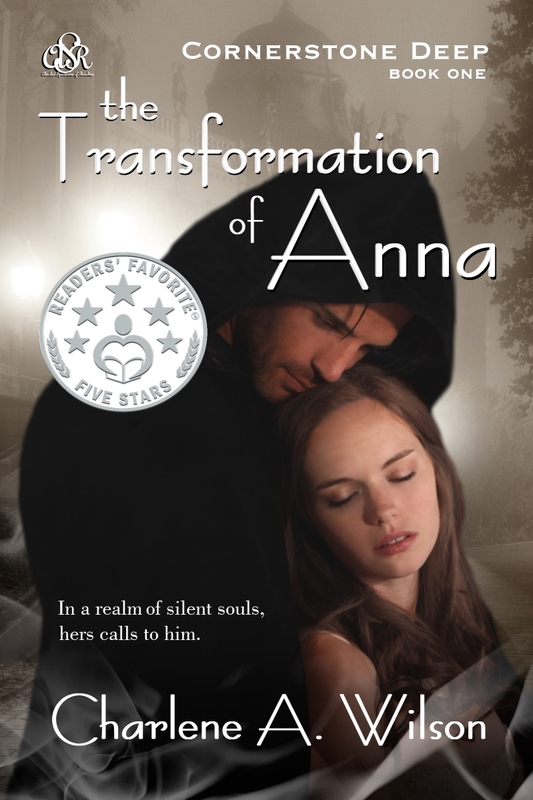 Wanna hear a sample of The Transformation of Anna? This audio book sample is read by David Shaughnessy. Now that you're familiar with Charlene Wilson and some of her work, who wants to win something?! Charlene and I have partnered up to give away a couple items. 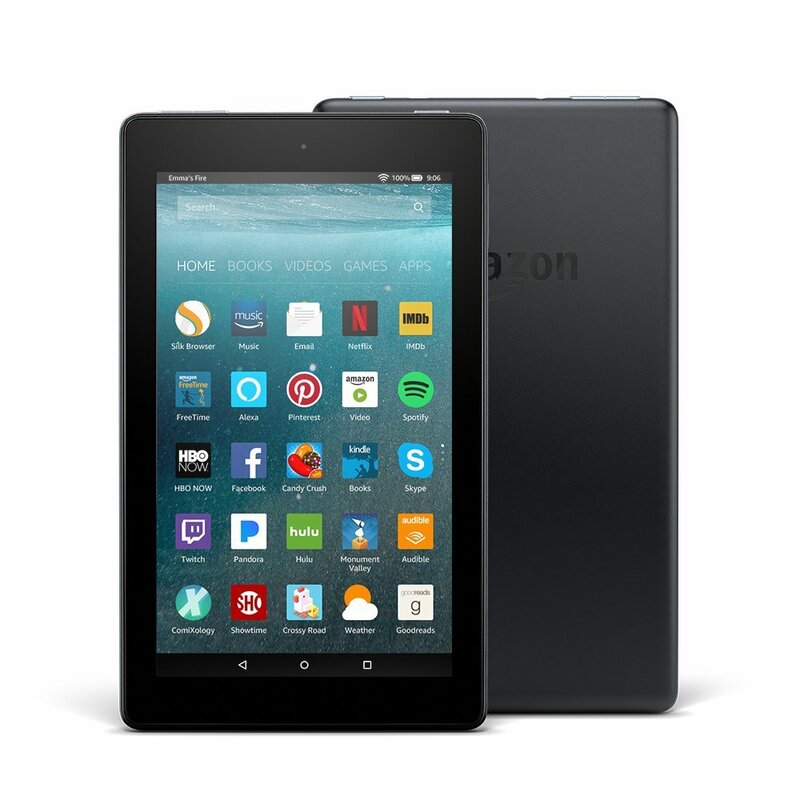 There will be two winners - one lucky Giveaway Guy reader will win a copy of The Transformation of Anna, and another reader will win a Kindle Fire. In my family, we like to go hiking with the dog just about every day. We typically bring water, poop bags, and a couple snacks. I'm not a fan of carrying things while I walk around though. Matador started a few years ago in a San Francisco bedroom where they stumbled on a trend - people sitting outside on their coats and lugging bulky blankets across town to parks and beaches. As we often do, they thought there has to be a better solution, and that's when the Matador Pocket Blanket was born. What started as a pocket-sized blanket that unfolds to seat four people became a passion for designing and developing pack-able (as in collapsible) adventure gear. You probably haven't heard about this, and that's because it’s a totally new category. 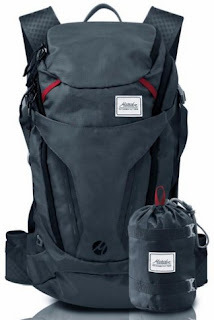 Matador's mission is to make your travels and adventures more convenient through high quality pack-able gear. You can find their gear in more than 2,000 stores around the world, and of course on their website. And then there's the most capable pack-able backpack ever, the Beast28, a technical pack that packs away for travel. It's the first pack-able pack of its kind. Matador up! 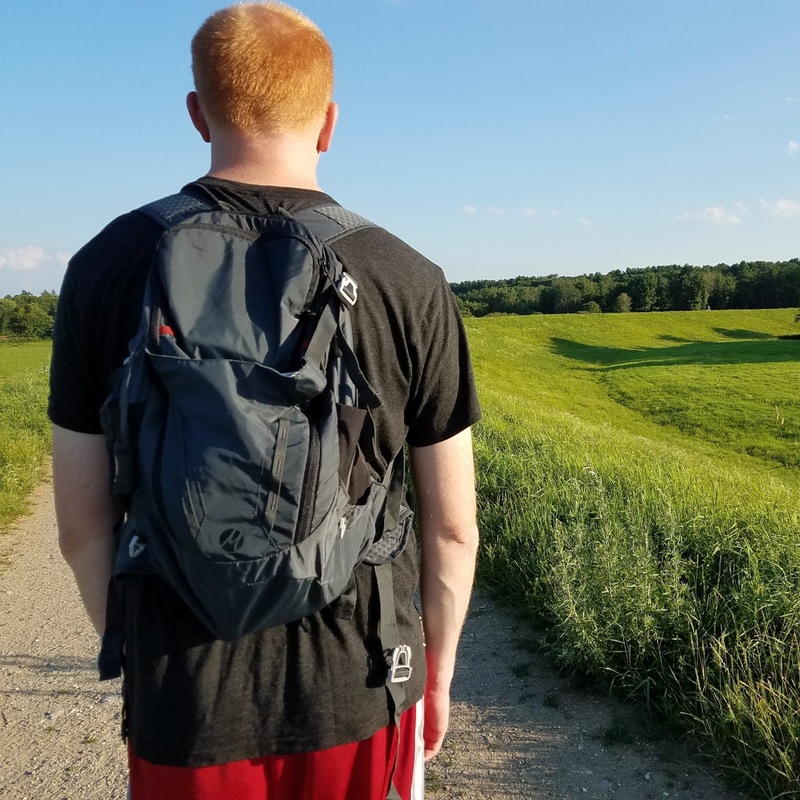 Hiking with the dog at Callahan State Park. What's the 28 for? Perfect for far-flung adventures and destination hiking, its ultra-light design and 28-liter capacity holds enough gear for day hikes and short overnight treks. What's cool about this pack is that it packs up into a compression bag (included) to save space. When it's stuffed into the bag it's smaller than a football. Check out the size comparison below. See how small it gets when packed? It also has waist and sternum straps that are pretty comfortable and didn't bother me at all on a recent hike. I'm a big guy too. I'm a fan of this pack and I intend to use it a lot more. It's significantly lighter than the only backpack I have (which is really meant for laptops), and I can fit a lot of stuff into it. Whether you need to bring stuff camping, to work, or to the airport as a carry-on, consider Matador backpacks. So who wants a backpack?! The folks at Matador have been gracious enough to offer a Beast28 Packable Technical Backpack to one lucky Giveaway Guy reader. By entering, you agree to have your email address added to Matador's mailing list at the end of the giveaway. You may unsubscribe at any time. Last year I partnered with HomeRight to promote their fire starter and we're back again! 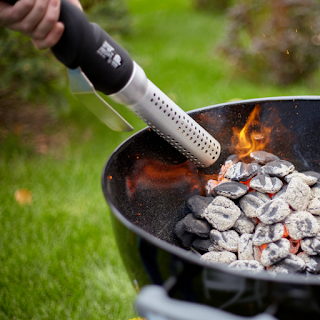 Summer is great for campfires and grilling. If you frequent my blog you may already know about HomeRight - DIY projects are their focus. Their products and tools help make your project easier, faster, and neater. So who wants a fire starter?! 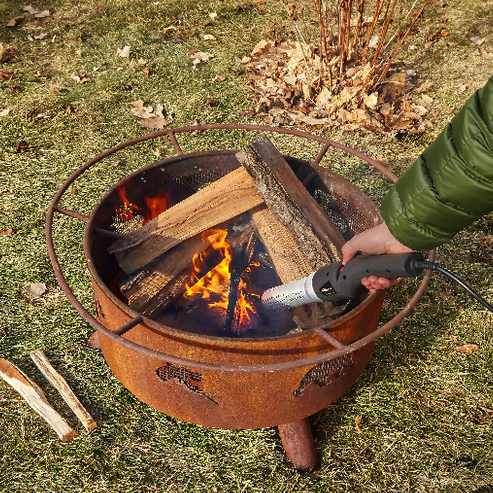 The folks at HomeRight have been gracious enough to offer a ElectroLight fire starter to one lucky Giveaway Guy reader. If you enjoy fantasy adventure books and the Hunger Games series, author Carrie Summers might be right up your alley. Carrie Summers loves coffee, cats, and adventures. When she isn’t writing or reading she's often outside enjoying the sunshine, rock climbing, and hiking. A Colorado native, Carrie lives on the western slope with her husband and daughter. The family dog, Josie, likes to explore but has a knack for finding skunk territory. Thankfully my own dog, Henry, hasn't encountered a skunk yet... knock on wood. Carrie has always had a passion for fantasy fiction and imaginary worlds. After years working in game development, she left to pursue her love for writing books as a fantasy author. Heart of the Empire is the latest book in Carrie Summers' catalog, releasing August 1st. Tainted magic spills from a crack between worlds. Quakes rattle the Atal Empire, opening rifts that split towns in two. 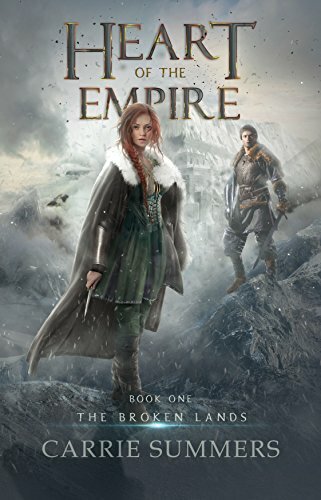 As the land shatters and betrayals cleave the Emperor's court, ancient power awakens in a flame-haired young woman and a man in line for the throne. Savra, a miner on a remote coast, lives in relative innocence of her Emperor's savage rule. When she turns seventeen, she expects to be assigned sluice mining as her official Function. Everyone from her home village is a sluicer--unless they turn renegade and fugitive like Savra's father. For nineteen years, Kostan has been groomed for one thing: ascension to the throne. One of thirteen imperial Scions, he bears a wound that won't heal until his twenty-first birthday. On that date, only the shape of the Scions' scars will determine the next Atal Emperor. Savra secretly fears she carries her father's rebel blood. Kostan despises everything the Empire stands for. Neither desires a fight, but as the Empire crumbles around them, they stand on opposite sides of a war. Each could be part of Empire's salvation, but if they could bridge the chasm dividing them. If you enjoy fantasy adventure books and the Hunger Games series, author LM Preston might be right up your alley. As a young girl, LM Preston loved to write poetry and short-stories. Later, as a techie and educator for more than 16 years, she started writing science fiction with the encouragement of her sci-fi buff husband. LM has an obsessive desire to write and create stories of young people who overcome unbelievable odds. She loves to write while on the porch watching her kids play or when she's traveling, which is another passion that encourages her writing. 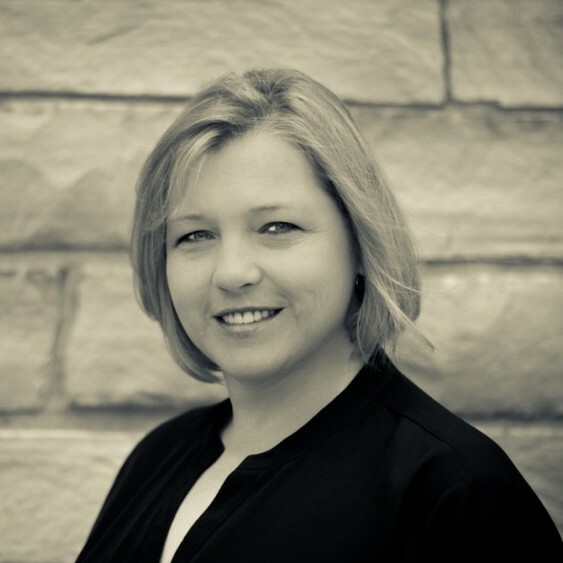 In addition to being an author, LM has also been the 2012 vice president of the Mid Atlantic Book Association and the 2012 co-chair for the Maryland Writer's Conference. 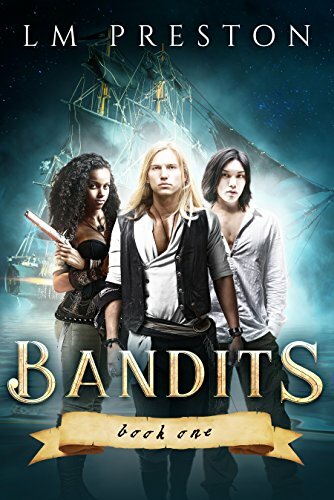 Bandits is one of LM Preston's book series. In the first book (of two), Daniel's father has gotten himself killed and left another mess for Daniel to clean up. To save his world from destruction, he must fight off his father's killers while discovering a way to save his world. He wants to go it alone, but his cousin and his best friend's sister, Jade insists on tagging along. Jade is off limits to him, but she insists on changing his mind. He hasn't decided if loving her is worth the beating he'll get from her brother in order to have her. Retrieving the treasure is his only choice. But in order to get it, Daniel must choose to either walk in his father's footsteps or to re-invent himself into the one to save his world. So who wants a book or something?! LM Preston and I have partnered up to give away a couple things - one lucky Giveaway Guy reader will win the paperback series Bandits and another reader will win a $40 Amazon gift card. So who wants a book?! 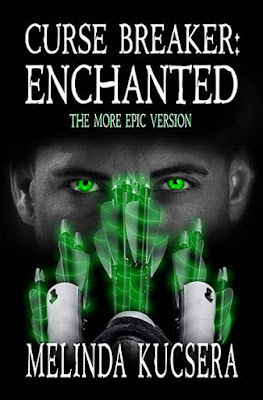 Melinda and I have partnered up to give away a signed paperback copy of Curse Breaker: Enchanted [The More Epic Version] to TWO lucky Giveaway Guy readers.